Whether you need regular glass & plexiglass or museum-quality products, we’ve got you covered. Any type of artwork that is created on or made from paper needs some type of glazing to protect it. This includes watercolors, pastels, pencil drawings, charcoal drawings, mixed media collages, etc. Textile art can also benefit from this protection. Your two choices for glazing are glass and plexiglass. Either option can provide protection against damaging elements such as dust, bugs, UV damage, airborne pollutants, and a certain amount of moisture. At Allan Jeffries Framing, we stock the top grades of glass and plexiglass available in sturdy 1/8” thick sheets. 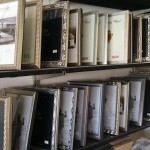 Our frame experts will help you choose from regular clear, UV protected, non-glare, or museum-quality products depending on the particulars of your framing project. …Which Is Better, Glass or Plexiglass? Years ago, glass was the clear choice for museum-quality framing of any kind of art. However, the quality of plexiglass has improved so dramatically that it is now a strong competitor, capable of offering most of the benefits of glass plus a few extra bonus features. Ultimately, the decision to use glass or plexiglass will depend on your specific needs, goals, and budget. Glass is less expensive, but it is also heavier and more fragile. If you plan to move your art a lot, you may want to take this into consideration. Glass can also appear to have a slight olive tint. Plexiglass is more costly, but it is very hard to break so it may last longer for you. However, you will have to beware of the fact that plexiglass is more vulnerable to scratching than glass. The fact that plexiglass does not promote condensation at the same level as glass thereby protecting your art from discoloration. Plexiglass typically provides 85 percent UV protection with no color tint. Glare-free options are available. Both glass and plexiglass are available with additional UV-protectant coatings that make them suitable for archival framing. These can provide up to 98 percent UV protection, but they also add a slight yellowish tint. Both plexiglass and glass are very easy to clean. With plexiglass, you typically just need to dust it with a feather duster. When more cleaning is required, use a soft cloth and an ammonia-free cleaner such as an eyeglasses cleaner. With glass, you can use any glass cleaner and a paper towel. Just be careful to spray the cleaner on the paper towel, not on the glass, so that it cannot drip down into the bottom edge of the frame. 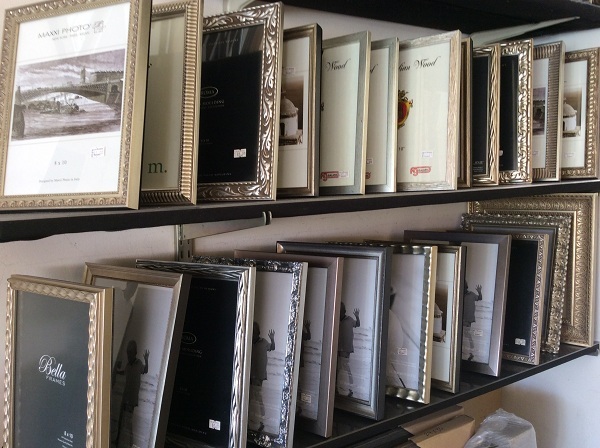 If you need more advice about different types of glass or plexiglass, or if you are ready to shop for your frames and glass, come to any of our frame shop locations and chat with our friendly team. Ready To Get Started? We're Here For You. 8301 W. 3rd St., Los Angeles, CA.